The Cezanne 45cm ecru faux silk French drum ceiling or floor lamp shade is fitted with a reversible gimbal, suitable as a pendant light or floor lamp shade. 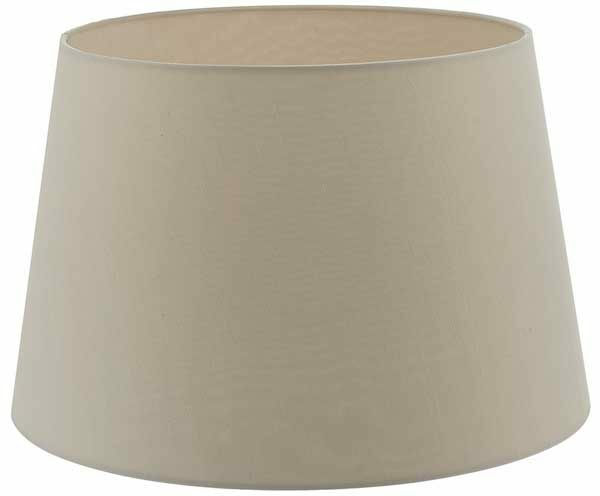 A tapered faux silk 18″ self lined lamp shade with rolled edges, supplied with shade ring to fit E27 lamp holders and reducer to fit B22. Also available in 14″ and 16″ please scroll down to view.